One thing we know for certain is that change will happen... we also know that change does not necessarily lead to growth. As residential real estate experts ERA Europe understands the importance of being able to adapt quickly to market changes, to continually be out front driving change and not reacting to it, and that this requires a certain mentality, a certain vision. At ERA Europe we bring that vision, the training, the tools and the energy to ensure change does lead to growth. But don’t listen to us... listen to those who live it every day. Here a few ERA Europe Brokers offer their personal testimony on why they chose ERA and how joining ERA has helped their real estate office grow. WHAT ATTRACTED YOU TO A CAREER IN REAL ESTATE? My entire professional life is based on delivering sevice to my clients. I always dreamed of a career that would be client oriented and, at the same time, one that would generate good profit. I found all that in real estate. I find it challenging searching for a client’s dream home, enjoy the interaction with everyone involved in that quest, all while realizing, over time, consistent growth and success. I have been in the Real Estate business for almost 15 years. After several years on my own as an independent broker, I decided to join ERA Real Estate in 2001. HOW MANY AGENTS DO YOU HAVE? WHAT ARE THEIR PROFILES? Our office is comprised of 25 sales agents, and we are still recruiting! It’s a very young team; most are under 30 years old. Our team, regardless of their age or experience, all share the same goal: client satisfaction! 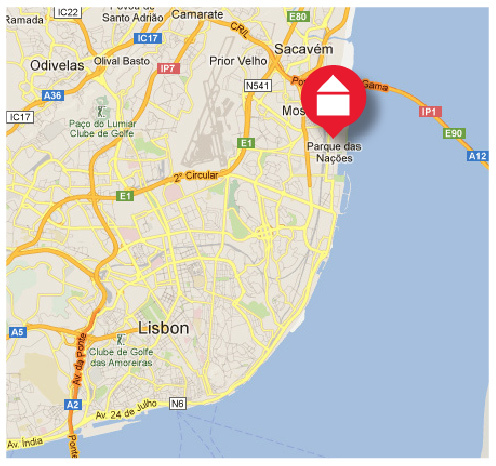 They also have a great deal of ambition and drive to achieve the Nº1 ERA broker ranking in Portugal. 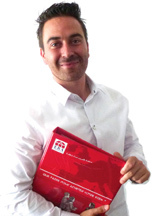 WHY DID YOU CHOOSE TO AFFILATE WITH ERA PORTUGAL? 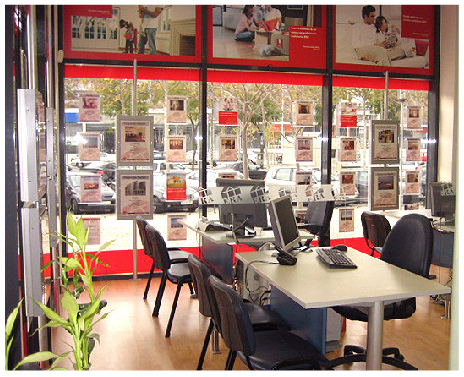 In 2001 there weren’t many real estate agencies or networks in Portugal. The public was not yet familiar with the ERA brand. Nevertheless, I was convinced by ERA management to join the network. I found the ERA Portugal strategy very compelling and promising: to build a market leadership position; implement a rigorous marketing plan; and offer products and services with total client orientation. Eleven years later…here we are, continuously in the Top 10 ranking in Portugal and growing. HOW DOES ERA REAL ESTATE HELP YOU BETTER MANAGE YOUR PEOPLE? The knowledge and depth of expertise of the ERA Portugal executive team regarding human resource management is vast. We were trained on how to guide our sales people using very specific methods of planning and organization; this was supported by integrated marketing efforts. These methods helped them to achieve great results, something they were unable to accomplish on their own. These great results also supported my recruit ment effort; one enhanced the other. Therefore, our Business Consultant helps us to manage not only the business itself, but also our sales agents’ performance. We don’t always agree with each other, we discuss various approaches, the best way forward, and it’s rewarding to have this open dialogue and in the end to apply fresh perspectives that lead to success. WHAT ARE THE MOST IMPORTANT BENEFITS OF BEING PART OF ERA PORTUGAL AND HOW HAS THIS IMPROVED YOUR BUSINESS? The biggest benefit is having the opportunity to work with the entire 200-office network. It’s a large family, each looking out for the other. ERA Portugal has also grown consistently over the years; making a relentless effort to provide a wide range of diverse services to our clients, such as moving services, insurance products, real estate auctions, etc., all of these additional services help to improve our clients’ lifestyle and helps us to maintain a competitive edge. DO YOU HAVE AN EXAMPLE OF HOW THE ERA EUROPE CULTURE OF COLLABORATION AND KNOWLEDGE-SHARING AMONG BROKERS HAS HELPED YOU OR YOUR BUSINESS? On a personal level, whenever I need to travel to other region I always consult with the local ERA broker in order to find references about good Hotels, Restaurants, Parks, etc., inevitably we meet, even if it’s just for a coffee and to share experiences. Professionally, we speak the same language and we usually have the same DNA, which has allowed us to serve our clients well in any part of Europe! We know they have the desire and passion to satisfy their clients as much as we do! WHAT ARE 3 BENEFITS OF BEING PART OF ERA IN EUROPE? 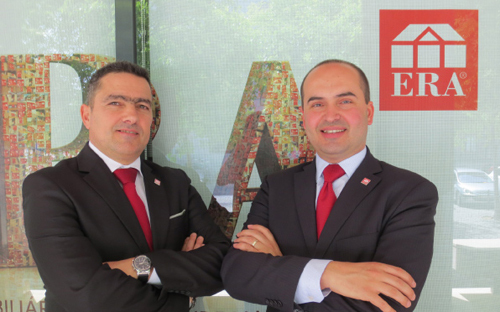 First benefit: the possibility of reaching out to other clients in Europe, via the ERA Europe Network, interested in purchasing a home in Portugal. Second benefit: being able to develop a relationship with brokers from other countries and learn from their experience. Third benefit: the pride of belonging to such an exclusive group! DESCRIBE YOUR BEST SATISFIED CUSTOMER STORY AND HOW ERA PLAYED A ROLE. 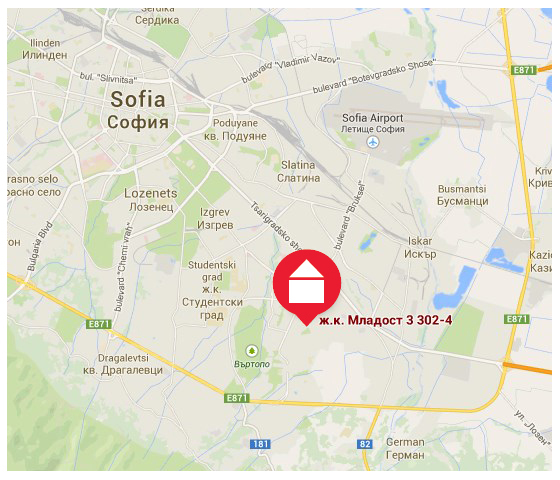 We had a client who placed his apartment on the market, because he needed to move to a larger home with more space. ERA sold his apartment in five days. With the worsening economic situation, the Bank had initially approved the loan for his new place, but in the end, refused to finance the project. The client never gave up on the sale and we never gave up seeking a viable solution that would meet his expectations. Our affiliation with ERA enabled us to develop good partnerships over the years with several banks; it was here we found the solution: an apartment on the list of bank foreclosures; 100% financed and at a low rate. This enabled us to conclude both transactions for our customer. The client was very impressed and recognized how seriously we take our ERA Commitment: ‘First in Service®’… we Never Give Up! WHAT IS YOUR ERA OFFICE PROFILE? I am 30 years old. I graduated the University of Economics. For the second year I am a part of the ERA Bulgaria’s family. In my team work 10 agenst, office coordinator and legal expert. The average age of the agents is 35 years, 80% of them are women. After a competition in our office we found out that the total weight of all agents is 1100 kg, and the average weight is 64 kg. HOW DOES ERA REAL ESTATE HELP YOU TO BETTER MANAGE YOUR TEAM? I think that the development strategy of ERA is very successful. I like the fact that ERA Bulgaria organizes trainings at different levels, like brokers and office managers and coordinators. The consulting team of ERA teaches us to be fully customer oriented, how to better organize our time and plan our revenues. ERA offers its clients many unique services. I can list some of them: Expert report of the property - a correct assessment of the market price; Broking service agreement; System for referrals, Magic letters and more. 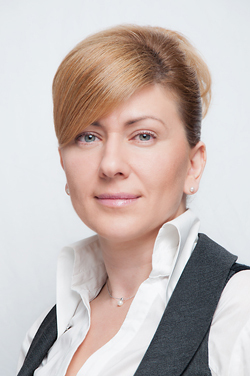 The unique software and site that ERA provides us facilitate the organization and work not only in my office but between all ERA offices in Bulgaria and in the world. WHAT ARE YOUR GOALS IN BECOMING PART OF THE ERA INTERNATIONAL NETWORK? To increase revenues, to enhance my team, to learn how to manage a large company, to improve my own skills and those of my team. Thanks the support of ERA and effective system of work and hard working I was able to increase double the sales in 2013. HOW LONG HAVE YOU BEEN IN REAL ESTATE AND WHAT ATTRACTED YOU TO A CAREER IN THIS INDUSTRY? I am working in the real estate industry for 9 years. I started quite by accident and thought I would do this temporarily. But very quickly I realized that working with people is my calling. My greatest satisfaction is when I can help customers find their desired home and fulfill their dreams. For us Bulgarians our home is something sacred. We have a saying: "My home is my castle." 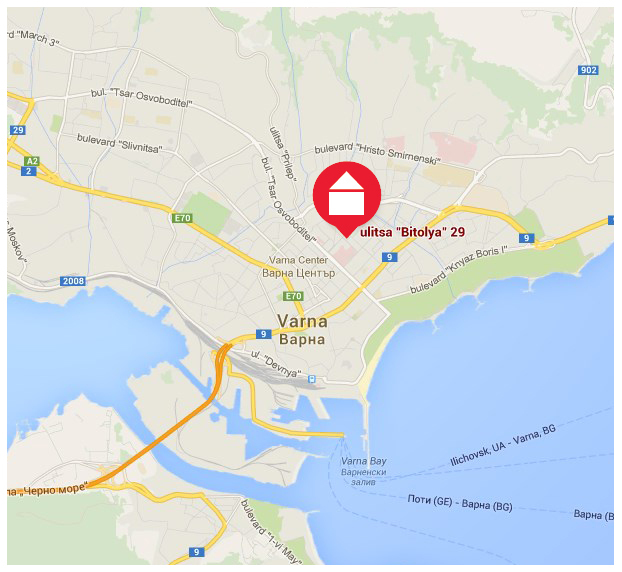 WHY DID YOU CHOOSE TO AFFILIATE WITH ERA BULGARIA? I always thought that the large companies are the future in this business area. 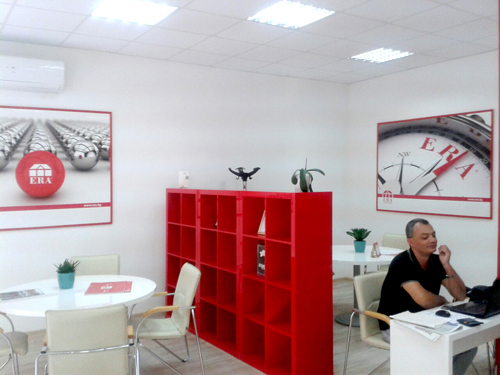 The red color, the good reputation, an excellent service that ERA provides for its team were sufficient reasons for me to make a choice. WHAT ARE THE PRIMARY BENEFITS OF BEING PART OF ERA REAL ESTATE? You are proud that you are part of a such successful company, you have self-confidence that you know and you can do the things right and maybe most importantly - you are not alone. In 2012 I was in Portugal. I had the opportunity to visit several offices of ERA in different cities. I was impressed that everyone was completely open and honest with us and willingly shared how they became successful. Organization of international, european and national conferences where we have the opportunity to participate and share our experience, are essential to achieve success. WHAT ARE THE 3 BENEFITS OF BEING PART OF THE ERA EUROPE NETWORK? I've been in Real Estate for 18 years. This is my education. My desire was to find fulfillment in the area, for what I have studied. HOW LONG HAVE YOU BEEN WITH ERA REAL ESTATE? 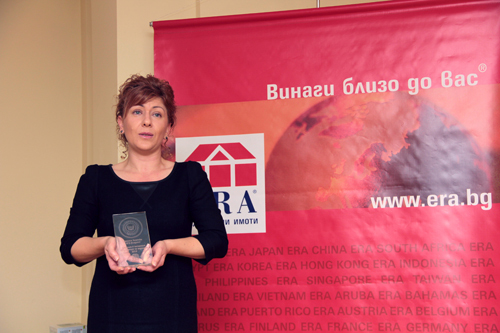 I’ve been with ERA Real Estate since the beginning of ERA Bulgaria in 2007. WHY DID YOU CHOOSE TO AFFILATE WITH ERA REAL ESTATE? Because I've always worked in large companies, this franchise model gave me the opportunity to work in a large company and to have my own business. I chose ERA because I liked more her policy and style of work than other companies for real estates. WHAT ARE THE BIGGEST BENEFITS OF BEING PART OF ERA REAL ESTATE TO YOU AND YOUR BUSINESS? That I can be part of a network and can learn from my colleagues. I can compare with the others and make parallel between me and the others from my network – I have a Benchmark. DO YOU HAVE AN EXAMPLE OF HOW THE ERA CULTURE OF COLLABORATION AND KNOWLEDGE-SHARING AMONG BROKERS HAS HELPED YOU OR YOUR BUSINESS? The opportunity to exchange experience between ERA agencies helps me and my colleagues with years of experience to implement the changes successful and on time and to be more flexible in our work. HOW DOES ERA REAL ESTATE HELP YOU BETTER MANAGE YOUR PEOPLE, INVENTORY AND LEADS? 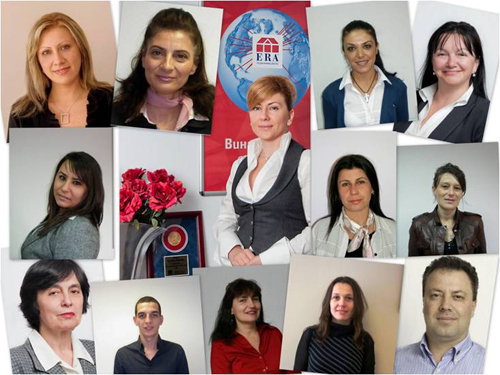 The consulting team of ERA Bulgaria that is responsible for my agency, helps me and my managers a lot to deal more effectively with the personal and business management and to develop even better manager skills. HOW DO YOU OR YOUR AGENTS BENEFIT FROM THE ERA AWARDS PROGRAMS? ERA Mladost won several times the national competitions of ERA Bulgaria. I am ERA Champion for 2007, and for the period 2009 – 2013. One of the most beneficial awards for me were my participation in the international conference in Orlando, Florida and ERA Europe Leadership Conference in Prague and Vienna, where I had the opportunity to exchange experiences with my colleagues from other countries. We have eight sales agents, one person to handle rentals and property management, an accountant and an administrative assistant, for a total of 12 persons. This is twice the size of an average French real estate office. Their profiles are quite diverse: the youngest sales agent held one or two sales positions prior to joining the ERA network, while several of the older agents were formerly retailers looking to transition to a new profession that avoided the heavy financial and administrative burden of owning a neighborhood retail shop. HOW DOES ERA REAL ESTATE HELP YOU BETTER MANAGE YOUR TEAM? 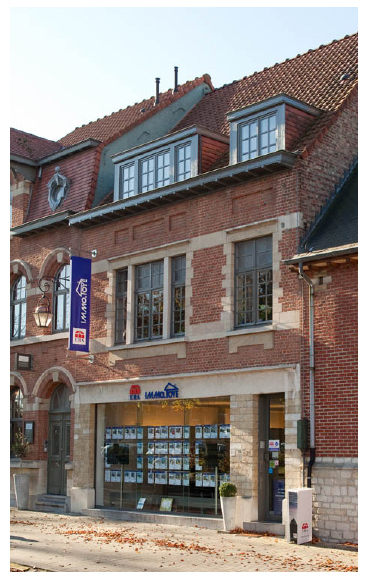 First, is the ability to compare my agency performance with other agencies within the network in France and Europe-wide; also thanks to the contact I have with other successful brokers and agents within the network I am able to grow and learn from their experiences. The monthly competitions and the national convention help to address questions that regularly crop up in the agents’ minds. The tailored training sessions as well as the e-learning videos available to the network help reinforce my management expertise, and bolster my credibility. The marketing and publicity tools for print and on the internet create a strong collaborative image in the eyes of the public. I entered the real estate industry in 2004 after having spent my early years working in start-ups in Sophia Antiopolis, the French Silicon Valley. I sought an activity in which I was independent and where I could regularly use my sales skills in the context of genuine, achievable objectives. I admit that today, after seven years in the profession, the challenges are ever present! Also, having ‘rubbed shoulders’ with a number of real estate agencies while dealing with my own personal investments, I frequently worked with people who had little to no training and an almost non-existent sense of customer relations. This was one of the reasons why I became so interested in the profession, knowing that there were still large sectors of the market waiting to be conquered. 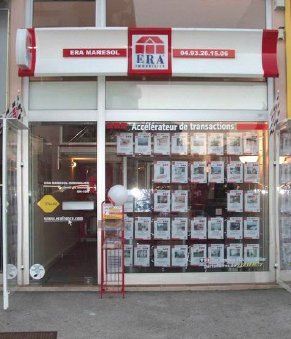 WHY DID YOU CHOOSE TO AFFILATE WITH ERA FRANCE? I’ve been working with ERA France for seven years now and began as a start-up agency. When I chose real estate as my next endeavor, it was personally inconceivable to exercise this profession in an independent and isolated way. It was for this reason that I looked into several recognized and reputed franchise offerings in the sector. I chose ERA France for its reputable international standing as well as for the integrity of its people. Collaboration between ERA agents across Europe has allowed us to complete a number of sales, particularly with our neighbors to the north Belgium and to the south in Portugal where the brand is very well represented. I recognize that my colleagues are promoting the European aspect of the network more and more, and at a time when mobility is becoming a major factor in people’s lives, this is turning out to be a key advantage. WHAT ARE 3 BENEFITS OF BEING PART OF THE ERA EUROPE NETWORK? The fact that ERA France is part of a larger European network allows us to take advantage of the tools tried and tested in other European countries; tools that we then adapt to our market. The various seminars in which we participate via membership in the ‘Club Manager’ (a grouping of ERA France’s top brokers) helps us to gain a more global perspective. A particular case that comes to mind was at the ERA National Conference in Portugal, a country with a complex real estate system that was severely hit by the recession. After having met and talked with several agents, members of ERA Portugal, I returned home full of humility and truly impressed by their devotion and positive results in the face of such adversity. I have plenty of stories to convey of my successful experiences as an ERA Broker. Although at the moment I’m thinking of a transaction closed thanks to my colleague Sylvain GARNIER, from the ERA Nemours agency located outside the Paris region. 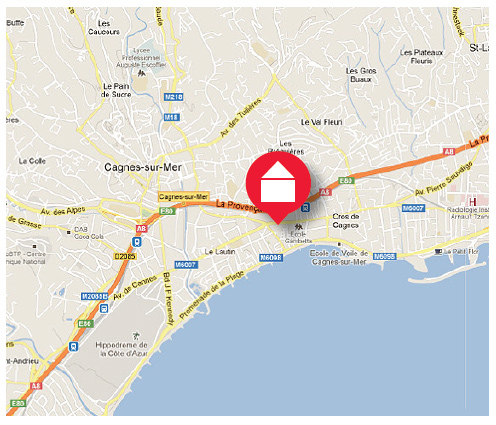 He referred a client to us wishing to sell her property in our community in the south, Cagnes sur Mer, near Nice; thanks to his professionalism and big-hearted personality, the sale closed quickly and under the very best conditions. This is what a network should be about, sharing with your colleagues; success breeding success, all while keeping your customers needs first in mind. Our company was founded with two partners, my wife and I; our skills complement each other, we make a great team and share a passion for real estate. One focuses on home sales/rentals, the other on providing services; with our sales team, we are a total of six. We have been in real estate for over 24 years now; 17 with ERA. I was the best all around ERA Belgium broker in 2012 (for the sixth time!) and a Gold Member (grouping of the top ERA brokers in Belgium) in 2013! I am very proud of these accomplishments because it’s the result of hard work and a laser focus on doing the best we can for our clients. First and foremost is the enjoyment I have in successfully concluding a transaction for my client and knowing I am able to achieve measurable results for both the buyer and seller. This combined with the fact that I am having fun while earning a good income! 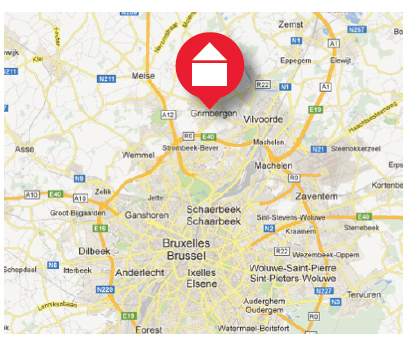 WHY DID YOU CHOOSE TO AFFILIATE WITH ERA BELGIUM? I wanted to be a leader in my community; someone who participates in changing the market, not one who simply sits back and watches. We understood standards in residential real estate brokerage needed to improve; we also wanted to see a more innovative approach to the business. I decided that ERA Belgium was the company for me, a company with a vision that could bring about that change. HOW DOES THE ERA SERVICE TEAM HELP YOU BETTER MANAGE YOUR PEOPLE? ERA management keeps us motivated with training programs and on-going refresher courses. 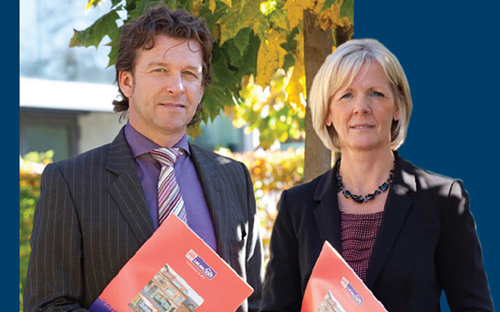 Annual awards for both the brokers and sales staff promote competitiveness within our office, and the network. It helps us to gauge our business performance and at the same time encourages us to do our very best in every aspect of our service, something our clients appreciate very much. More pleasure in our work, and recognition for a job well done, translates into added value for our clients. WHAT ARE THE PRINCIPLE BENEFITS OF BEING PART OF ERA REAL ESTATE? In the immediate area I enjoyed great notoriety, but further afield I was completely unknown. 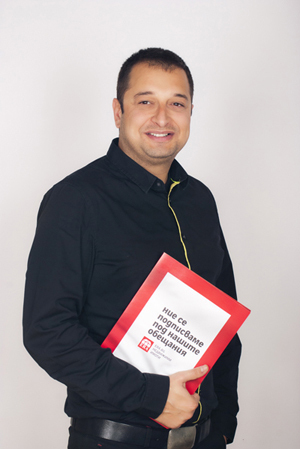 Now, thanks to ERA marketing and networking, my name is recognized across Belgium! This additional exposure brings me more business, something I would not have enjoyed as an independent broker. Additionally, the ERA methods have helped me to develop and maintain a strong sales team, to maximize benefits through economies of scale and to sustain my business even in the most challenging times. DO YOU HAVE AN EXAMPLE OF HOW THE ERA EUROPE CULTURE OF COLLABORATION AND KNOWLEDGE SHARING AMONG BROKERS HAS HELPED YOU OR YOUR BUSINESS? Thanks to the ERA network I met a broker with whom I created a property development company. Together we build houses and sell these homes through our ERA office. That fact we shared the same values and were part of the same network brought us together and I now have an additional revenue stream for my business. Without a doubt, unique ERA marketing and services add value; but just as important for me is the ability to brainstorm with my ERA colleagues. The ideas we generate are fine-tuned by ERA Belgium and then implemented in the market. It is a company that listens. In this way the ERA know-how combined with our grass roots experience creates very positive synergies. Our aim is always to be ahead of the competition so this approach always keeps us moving forward. WHAT ARE 3 BENEFITS OF BEING PART OF ERA IN	EUROPE? It is both a European and Globally recognized brand. It is trusted for delivering valuable services and this brings us clients! We also regularly profit from the ideas we learn from other ERA brokers. 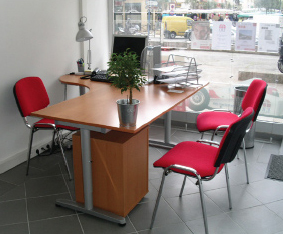 In our office we attach great importance to establishing good client relations and meeting their needs. For us, client relationships are for the long term. Once we had a client’s home listed for sale; we were also helping him find a new home. When he ended up buying that home from another broker, he literally called us to apologize… our relationship was so solid that he felt indebted to us. We sold his home, and today, I have no doubt when he is ready to resell, he will be knocking on our door.